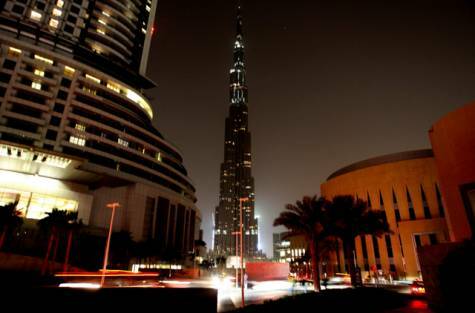 Dubai: Emaar Properties recorded a 45 per cent decline in net profits during the first quarter of 2011 reaching Dh421 million ($115 million) compared to Dh760 million recorded during the first quarter of 2010. The Dubai-based property developer’s revenue for the quarter also declined 31 per cent to Dh1.98 billion ($540 million), down from Dh2.88 billion. “First quarter results were supported by the continued delivery of residential units in Burj Khalifa in Dubai and the handover of commercial offices in The Eighth Gate, Syria, an integrated project billed to become the financial nerve centre of the country. “The company also commenced delivery of one of its premium commercial projects – Boulevard Plaza within Downtown Dubai during this quarter,” a statement said. The company handed over approximately 270 units during the quarter as compared to more than 1,300 and 1,000 units during the first and fourth quarters of 2010 respectively. However, due to higher margins recorded on the deliveries and the hospitality and malls businesses, the gross margins increased significantly as compared to first and fourth quarters of 2010. This resulted in the gross profit being at similar levels to the compared quarters of last year. Emaar’s business subsidiaries contributed to the company’s revenue stream with the shopping malls & retail business demonstrating strong growth trends. The Dubai Mall, the flagship development of Emaar Malls Group, reported first quarter 2011 footfall of 13.5 million visitors – the highest-ever quarterly performance since its opening in November 2008. Emaar Hospitality Group, the hospitality & leisure subsidiary, also recorded positive growth with its flagship Address Hotels + Resorts recording an average occupancy of 87 per cent in the first quarter. In international markets, Emaar is fast progressing on a range of projects that will be delivered in the coming months. These include Jeddah Gate and Al Khobar Lakes in Saudi Arabia by Emaar Middle East; and Uptown Cairo and Marassi in Egypt. Other countries where Emaar’s operations will further contribute to its revenue streams this year include Jordan, India, Pakistan and Turkey. This year, Emaar further demonstrated its commitment to quality with Emaar Middle East’s Al Khobar Lakes development winning the Saudi BuildInfra Awards for ‘Best Retail Project’ at the Building & Infrastructure Summit. Emaar Properties was also honoured by the Emirates Securities and Commodities Authority (SCA) for implementing and complying with the new UAE Code of Governance within the stipulated timeframe.